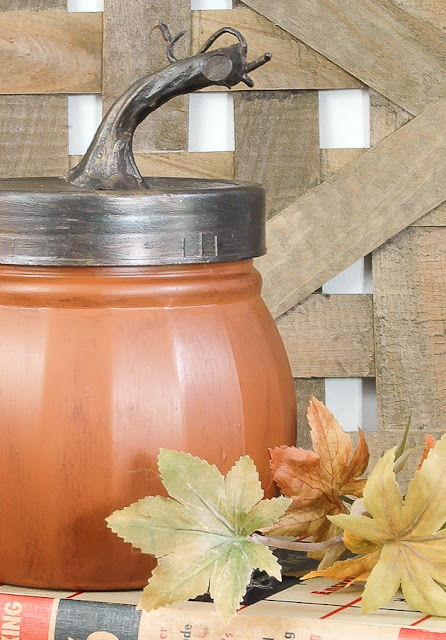 Style and decorate your home for fall with these affordable Dollar Tree finds. It should be of no surprise that I love Dollar Tree. Granted, I usually update or alter everything I buy from there, but that's beside the point. 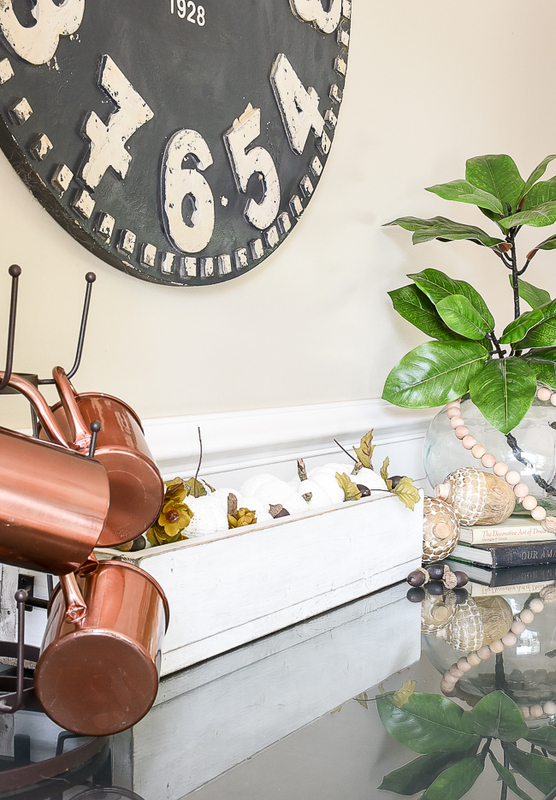 The point is, Dollar Tree allows you to buy affordable decor and create a beautiful home on even the smallest of budgets. 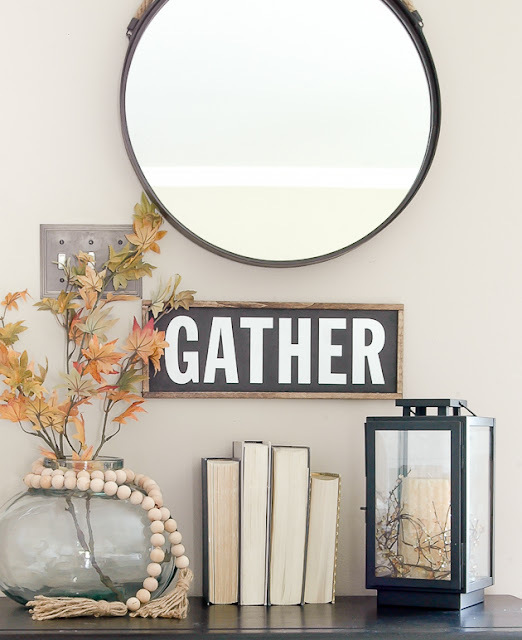 From everyday to seasonal decor, there's something at Dollar Tree that you can use to decorate and organize your home. 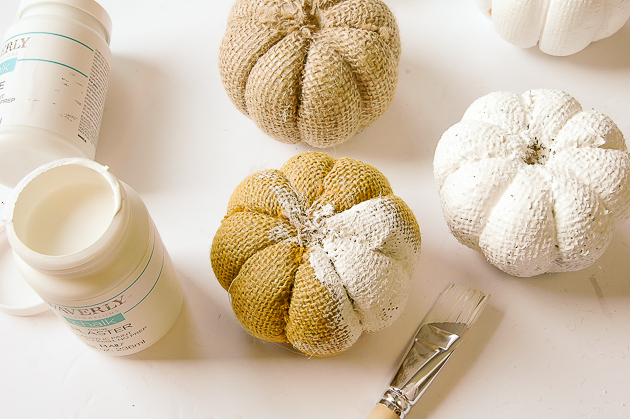 See all my Dollar Store DIY Projects HERE! 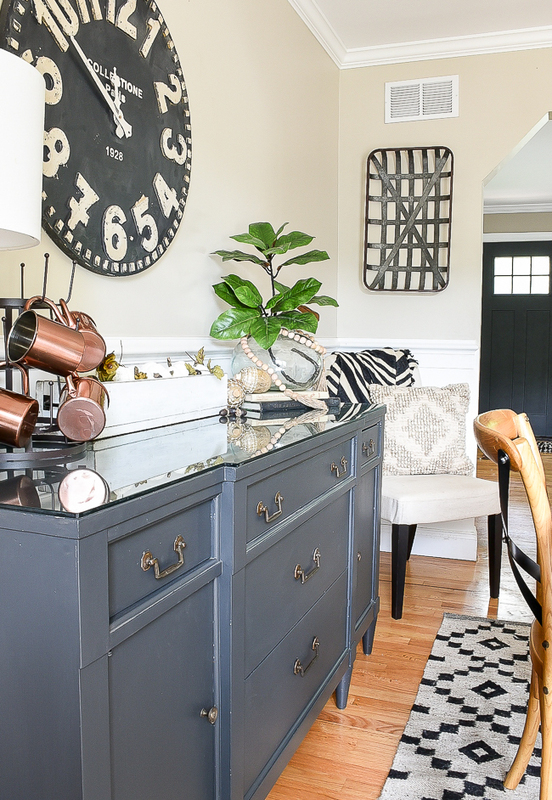 I love contrast, so I tend to lean toward neutral colors when decorating my home, but the ideas I'm sharing can be easily adapted if you love decorating with color. 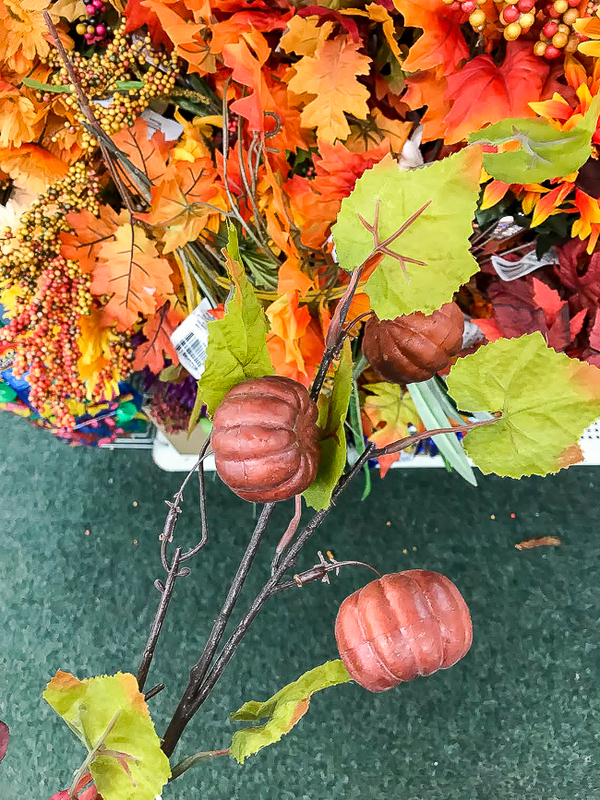 My first stop in Dollar Tree was to check out their Halloween decor (I'll share more of that in another post) then I headed to their florals. 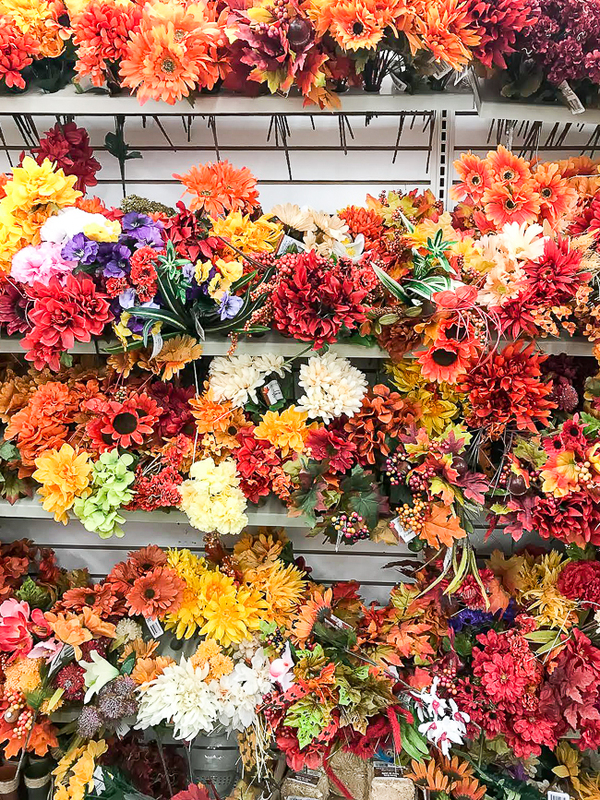 As you can see, most of their floral picks are brightly colored, which is perfect for someone who loves decorating with deep reds and burnt orange for fall. 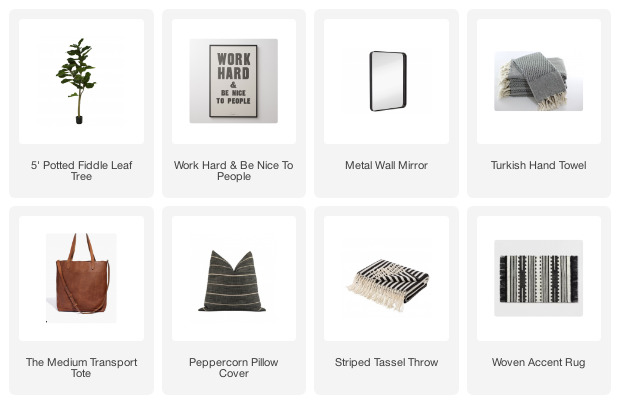 Again, there is absolutely nothing wrong with these colors, I just opt to keep my home more neutral. There were, however, a few picks that stood out that I wanted to share. They have a few leaf bunches in various shades of red, orange and yellow, but I liked the deep red the best. 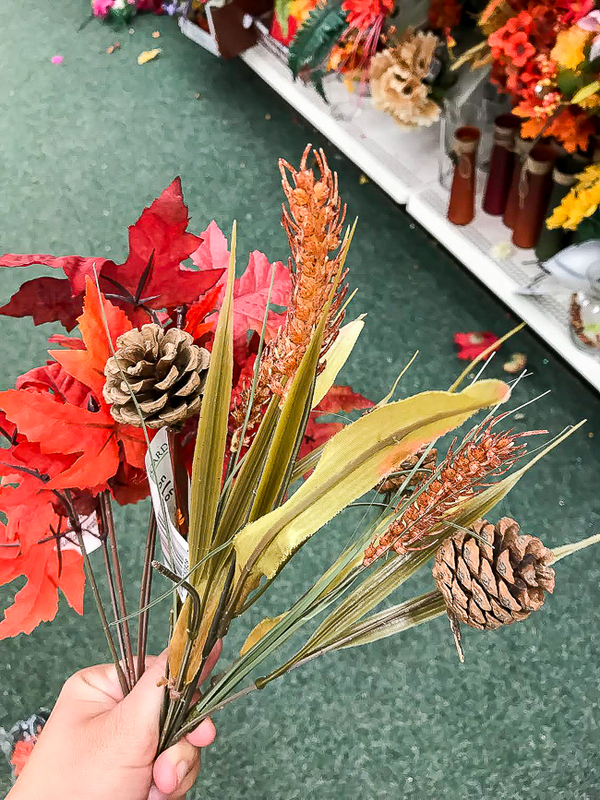 The stem with the pinecones could be used as is or you could take the pinecones off and use them separately, maybe displayed in a bowl or on a wreath. You could do the same with the leaf and pumpkin stems. 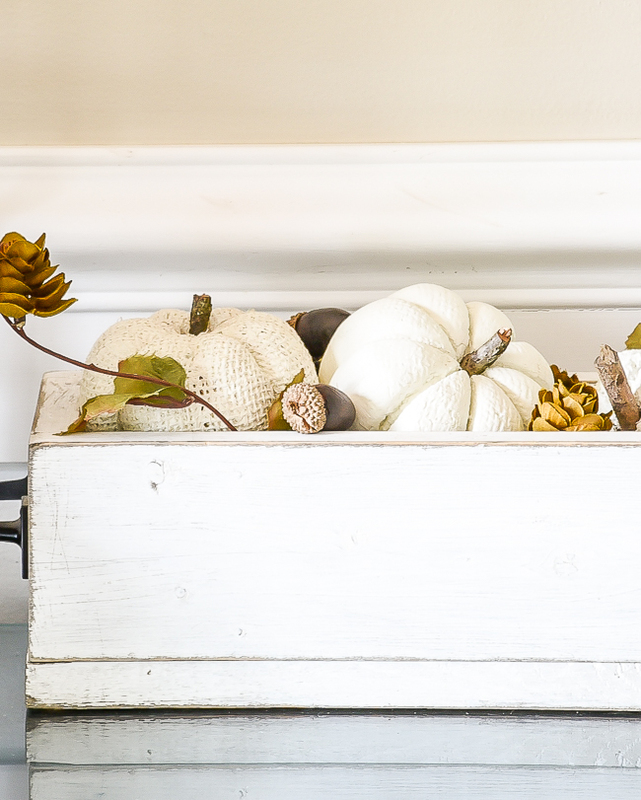 Leave the pumpkins on the stem and place the picks in a vase or remove them altogether and display them on a shelf or on a fall wreath. 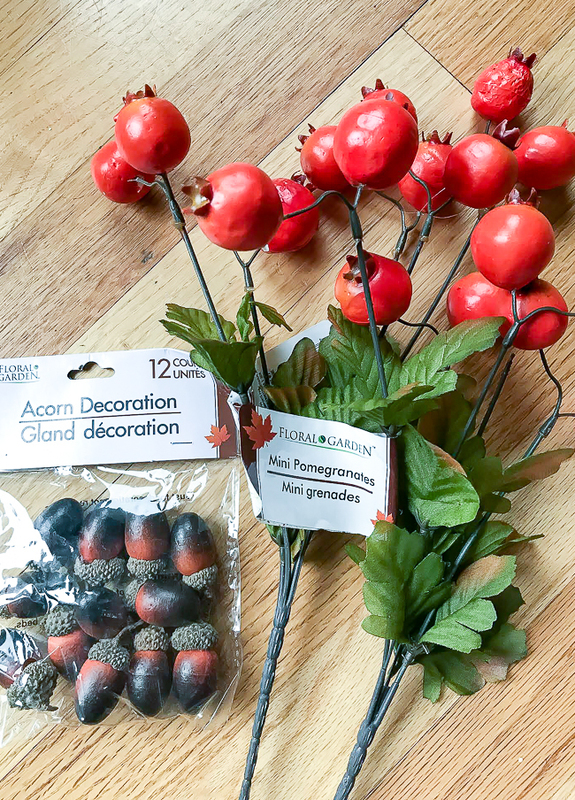 I didn't take pictures of the mini pomegranates or acorns in the store, but I picked up two of each to use in my own home. 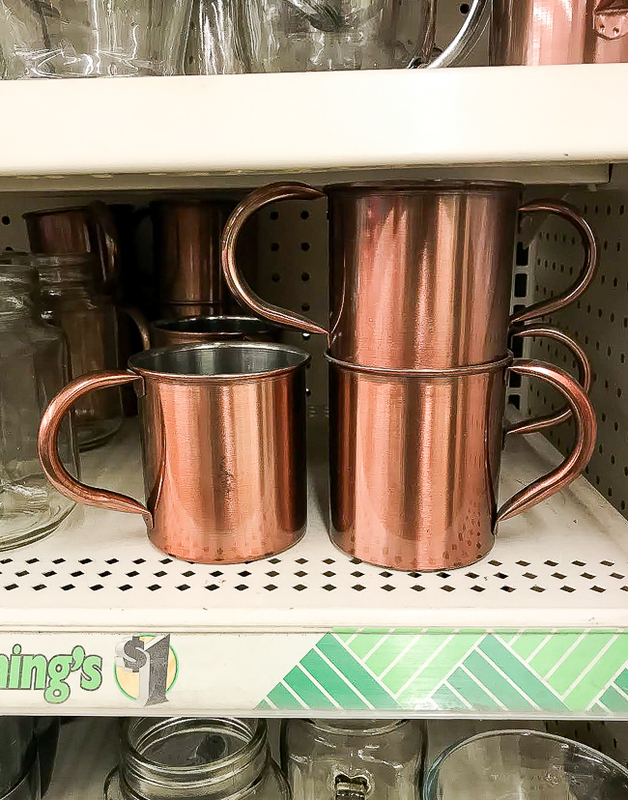 I also grabbed a few of their Moscow mule mugs to display on my drying rack. 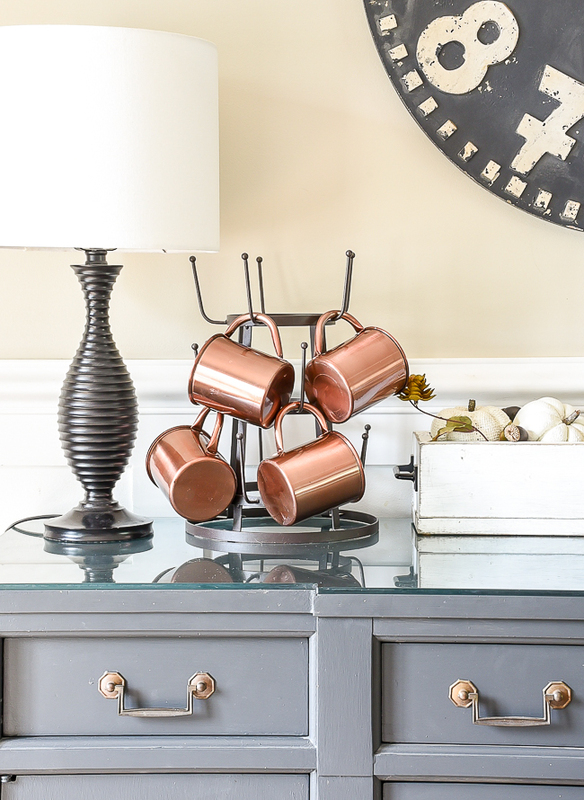 I like to bring in more copper tones during fall and these mugs were perfect. Of course, you can't leave out the pumpkins! 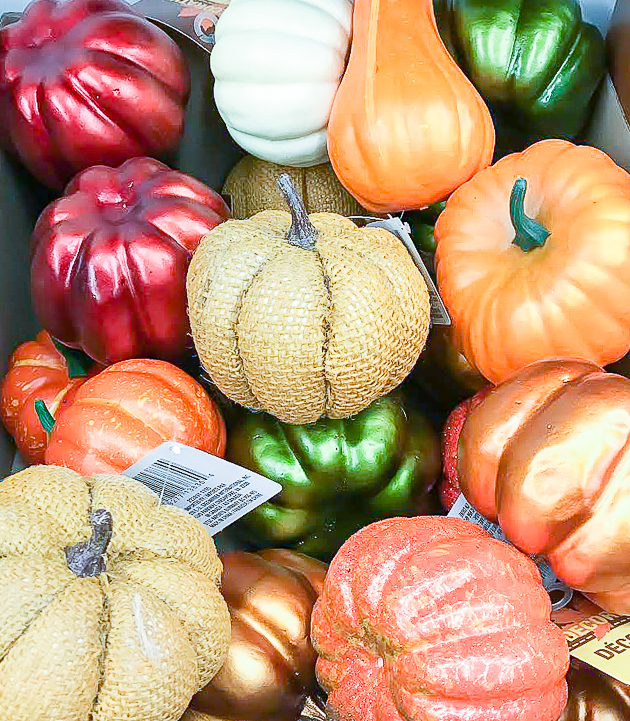 These burlap covered pumpkins were my favorite last year and they have them again this year. 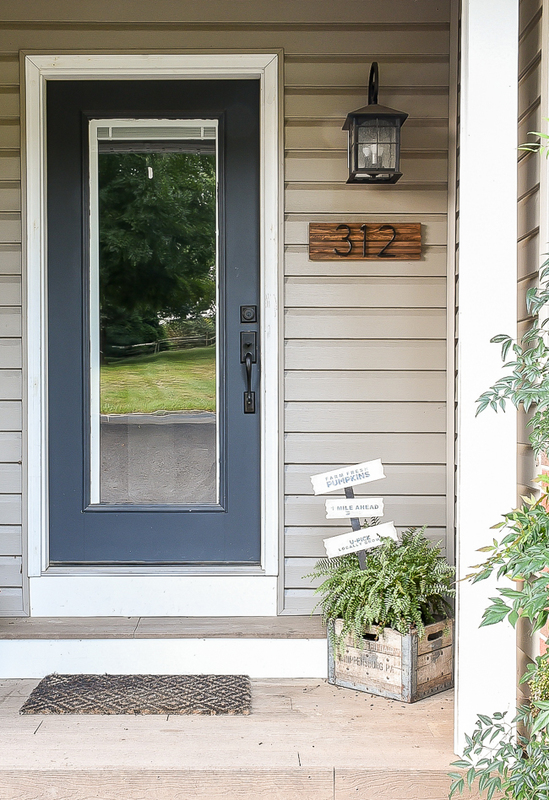 I updated mine with a little chalk paint and I love how the burlap adds such nice texture. 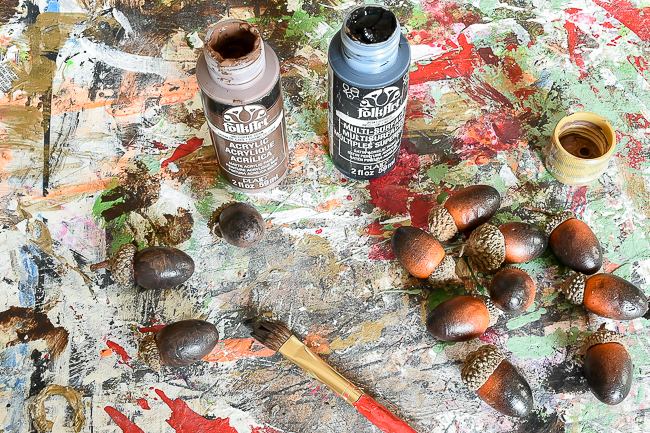 I also painted the acorns using a mix of brown and black acrylic craft paint. Again, you can leave them as is, but since I was going for a more neutral and natural look I painted them darker. 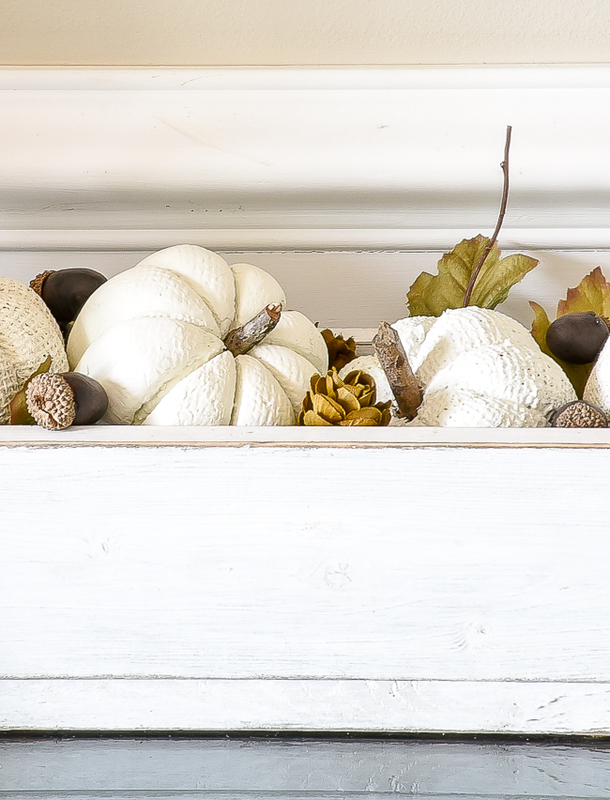 I placed the pumpkins in an inexpensive wood box that I made a few years ago then filled in the gaps with leaves and acorns. I filled my large round glass vase with a magnolia stem (bought from TJMaxx), but you can always use Dollar Tree leaves for a more colorful look. Here's a simple idea if you prefer the brighter colors of fall. I mixed in the red leaves from Dollar Tree with other leaves I already had. 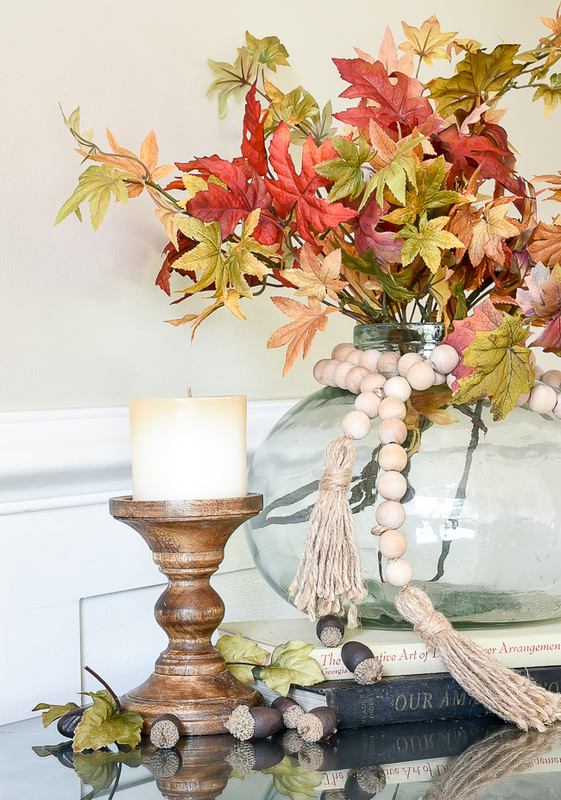 I couldn't find the Dollar Tree pedestal candle holder I updated earlier this year, so I grabbed a similar one to give you an idea of how you can use them. 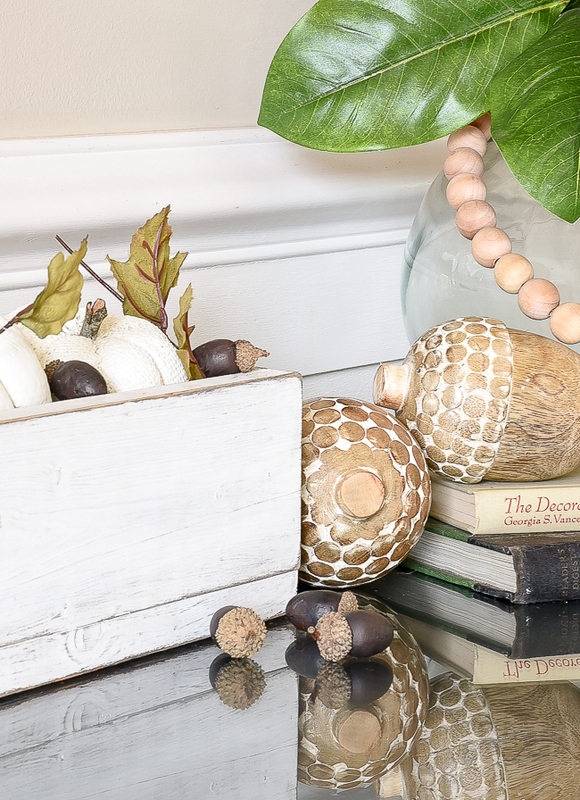 The wood bead garland can also be made using Dollar Tree jute and beads found at Michaels (use a 40% off coupon!). 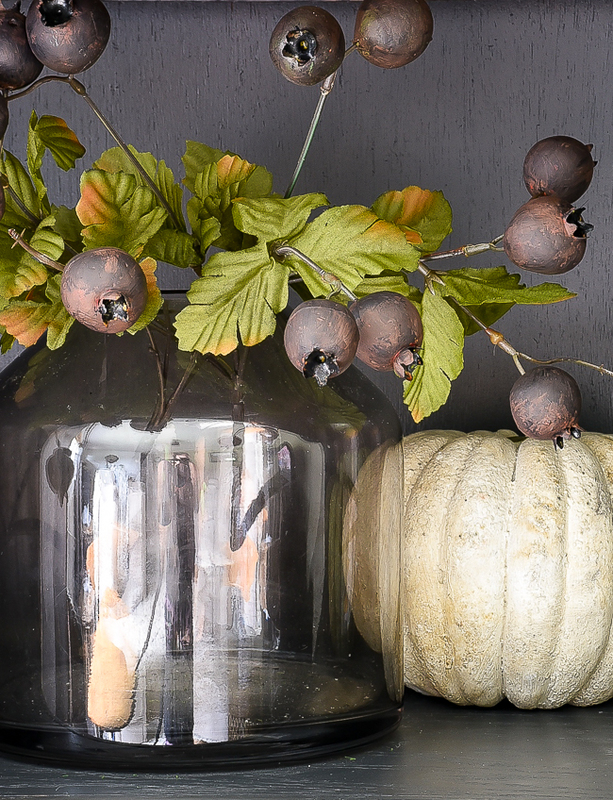 Keeping with my neutral theme, I also painted the red pomegranates with brown and black paint. Now I realize pomegranates aren't black, but who says they have to be pomograntes anyway? Of course, I can't forget the Dollar Tree yard sign that I updated and shared last week. 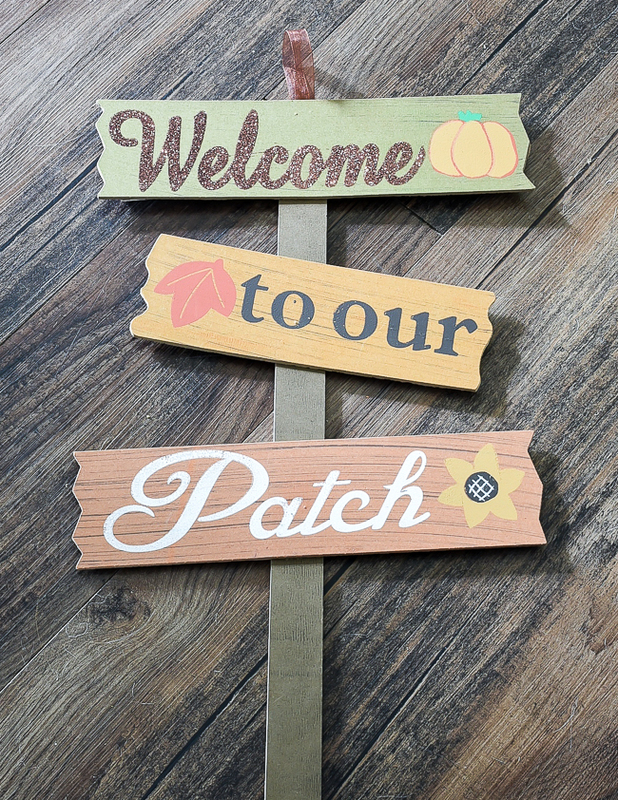 I coated mine in dishwasher-safe Mod Podge hoping it would hold up better outside on my covered porch, but you could also use the pumpkin sign to decorate indoors. 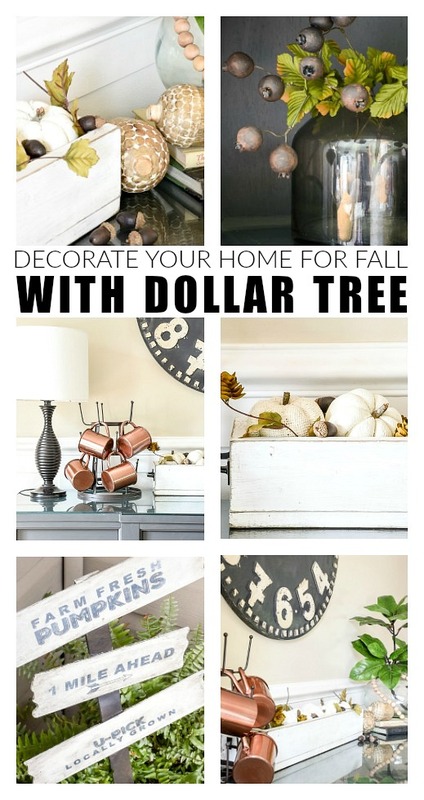 I hope these Dollar Tree fall decorating ideas inspire you to get creative and decorate your own home for less! 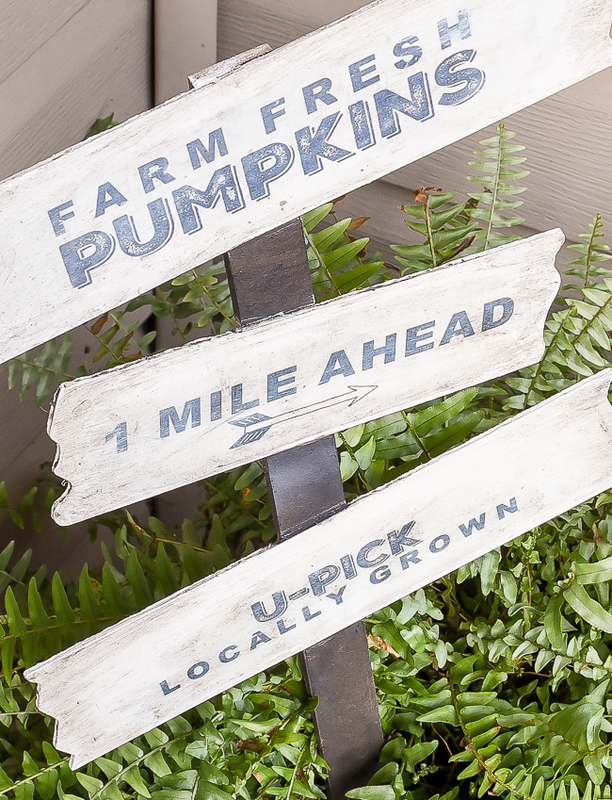 Great job with painting the burlap pumpkins, I was debating on doing the same and now that I have seen yours, I will! 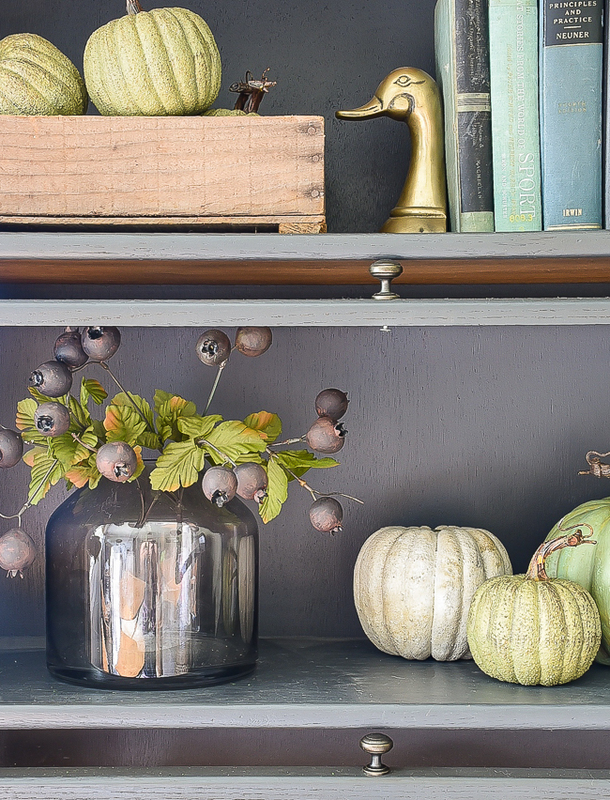 I love your more muted fall colour scheme! These are fantastic! Thank you so much for the tips and ideas. Sometimes it's challenging to see past the bright orange and reds to all the possibilities. I never would have thought of repainting that sign, but now it's perfect! I did the same thing earlier this week, stopping at Dollar Tree for some Fall color. You never know what you will find! 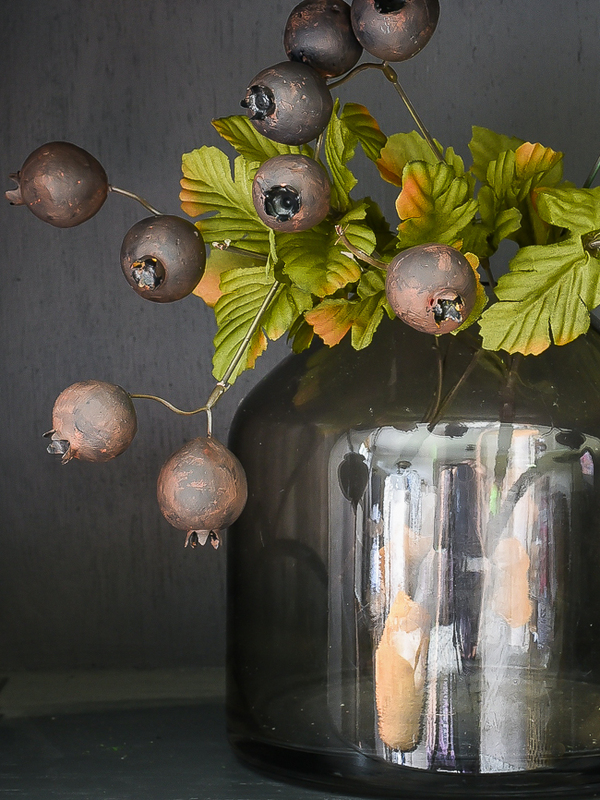 I love the idea of painting the pomegranates to go with your decor! Smashing! AWESOME! You are so creative!I hope my dollar tree has the mugs.